You get unlimited streaming of this album with your Prime membership! If you follow my blog, you would know that exactly a year ago Amazon.com announced that Amazon customers and Prime members in the U.S. and U.K now had access to original children’s music FOR FREE with the debut of two new children’s albums! These two albums; Great Pretenders Club by The Pop Ups, a GRAMMY-nominated children’s musical duo and GRAMMY-nominated, Lisa Loeb’s Nursery Rhyme Parade, became available for streaming for exclusive, unlimited ad-free listening on Prime Music for Amazon Prime members at no additional cost to their membership. (Note: Of course, you can also purchase the album as either download or physical CD format if you are not a Prime member.) The news of free online streaming albums from Amazon was especially exciting news for me since I am also a children’s music reviewer (and Prime member) and this new format has proven to be successful. 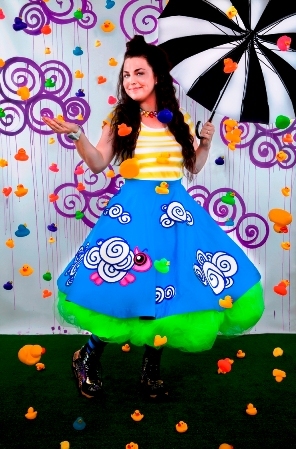 In honor of it’s one year anniversary debut, a brand new original children’s album from Amy Lee — the GRAMMY award-winning co-founder and lead vocalist of the rock band, Evanescence is now available for free streaming and purchase. Not only that, this option has been extended to the additional Amazon Prime members in Germany, Austria, Switzerland, France, Italy, Spain and Japan! Check it out! Listen to the title track of Dream Too Much, HERE! Dream Too Much features 12 newly recorded songs, including seven originals and five popular covers. These 12 songs encourage children and families to sing along together. Inspired by Lee’s son and her own musical upbringing, the album features guest appearances by several family members, including backing vocals by her siblings, and instrumentals by both her father and uncle. Some fun family-classic songs include Sesame Street “Rubber Duckie,” the Beatles’ “Hello Goodbye” and R&B standard “Goodnight My Love.” Lee worked with her family (right here in Texas!) including her father (who plays the ukulele, dobro and banjo), her sisters Carrie and Lori who do lovely harmonies, and even her uncle who plays the guitar, bass, and harmonica. The loveliest part of her family-featured album is that Amy Lee’s son, Jack, even makes a cameo! The songs are all sweet, upbeat, and genuinely fun to listen to with your kids. 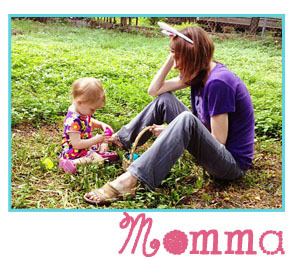 The lyrics of Amy Lee’s new songs were inspired by everyday life with her own son. I was thrilled to hear about her little son’s love of books, which inspired Amy Lee’s song “The End of the Book” because Jack would often get upset when the book was done. 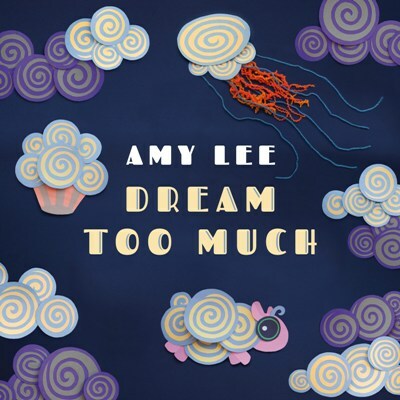 As Amy Lee sings on the title track, “There’s no way you can dream too much.” Beautiful! Prime members can listen to Amy Lee’s entire album at no additional cost to their membership on compatible devices that support Amazon Music, including Amazon Echo, Fire devices, iPads, iPhones, Android devices, Sonos Players, the Web and more—songs can also be downloaded for offline listening on mobile devices. To find out how to listen, visit http://www.amazon.com/howtolisten. In addition to exclusively streaming on Prime Music, and digital download availability, customers can also come to Amazon.com to purchase the physical CD of the album, Dream Too Much—physical pre-order is available today www.amazon.com/dreamtoomuch. A full-length video featuring animated interpretations of every song is currently in the works and will premiere in the fall on Amazon Prime. To learn more about this newest release in Amazon’s growing library of original children’s and family music exclusively streaming on Prime Music, read the official announcement HERE.